The Portfolio Committee on Higher Education met to hear presentations from the Department of Higher Education and Training, the South African Further Education and Training Student Association, the South African Union of Students and the National Student Financial Aid Scheme on student funding and applications for the 2019 academic year. The Department of Higher Education and Training (DHET) said that the announcement of fee-free higher education had brought about and necessitated significant changes to the policy framework. There were significant challenges at the National Student Financial Aid Scheme (NSFAS) and institutions in terms of capacity. They recognised the significant turnaround at NSFAS in clearing backlogs and trying to make things run more smoothly for 2019. Conditions had been placed on student funding, and there had been significant increases in the public funding of universities. The South African Further Education and Training Student Association (SAFETSA) outlined some of the challenges facing technical and vocational education and training (TVET) college students. Often funds were disbursed late in the year, making it difficult for students to attend classes and afford transport costs in order to adhere to the 80% attendance requirement. There were challenges in signing the required Schedule of Particulars (SOPs) when students lost cell phones, or there was inaccessibility of NSFAS systems or personnel. They called for an imbizo between higher education stakeholders and for the NSFAS to be decentralised and closer to students. The South African Union of Students (SAUS) praised the progress made under the new administrator of the NSFAS, but expressed a number of concerns, such as errors in student applications which would delay student funding decisions, and students being awarded funding incorrectly only to have the decision reversed. They wanted an update on the clearing of historical student debt and for the extending of funding to postgraduate studies so that students did not find that they were unemployable at the end of their studies. They felt that several of the decisions around the transformation of universities needed to be revisited. NSFAS provided an update on the progress with previous backlogs and with funding applications for the 2019 academic year. They outlined some of the steps taken to turn things around, but noted several challenges. The legality of third party disbursements was questioned, and they commented that there were still serious challenges in the TVET sector. Members questioned whether NSFAS was monitoring the academic progress of students so that they were not exceeding the term of the funding agreement. Had it paid money over to institutions for the next financial year? Would it operate at full capacity over the holiday period? What was being done about the large number of missing documents, or applications submitted with errors? Questions were also raised concerning the Department. Why were university students’ food and housing allowances bigger than those of college students? How would the Department deal with the large numbers of students wanting to enter the tertiary education system when there was not enough space for them? How were different universities being funded, and had the Department given up on the idea of stratified universities with different funding needs? The Chairperson said it had been agreed at the previous meeting that the National Student Financial Aid Scheme (NSFAS) and the Department of Education and Training (DHET) would return for two reasons. One was arising out of findings in the previous Auditor General’s (AG’s) report, which were not good, so it was agreed that both entities would return and provide progress updates on what DHET and NSFAS had done to bring everything to where it was supposed to be. The second matter it had to address was moving forward, arising from a previous meeting, whether there were still backlogs and if NSFAS was ready for 2019. What progress had been made? What support had DHET provided NSFAS in the process, including the framework agreement? The Committee had decided to bring students in, as it had agreed to the commitments students would be making in the process, and the Committee would accept their presentation. 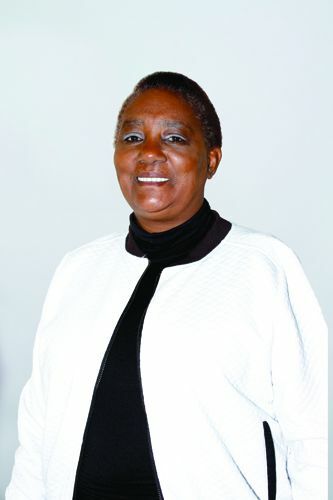 Ms Thandi Lewin, Chief Director: Integrated Quality Management Systems (IQMS) and University Education, DHET, said the Department had prepared a presentation on three matters. The fee regulation framework related the policy for the delivery of fully subsidised education for poor and working-class students. She hoped that the DHET had interpreted it correctly in terms of the guidelines and policy framework within which it was delivering fully subsidised education for 2018/19. The second area which related to that was the fee regulation framework for the university system. The third area was on what support and oversight DHET had been performing in relation to NSFAS while it was under administration. Following the announcement of free education, the DHET had come together with NSFAS and the colleges to implement a new DHET bursary scheme for students from poor or working-class backgrounds. This was the work it had focused on substantially in 2018. The bursary scheme provided fully subsidised funding, phased in from 2018, for students from poor or working-class families with a family income of below R350 000 per annum. The new bursary scheme required significant changes in both implementation and the policy framework DHET had to put in place to implement the bursary scheme. Because it was being phased in, there were differences between students in the system. The DHET had also had to look at policy to standardise how funding was being delivered going forward. This was not as simple as putting in place a new policy. The way in which funding had been implemented across the system had differed from institution to institution. Given the short turnaround time between December and January, several decisions were made in January and codified in the frequently asked questions (FAQ) document which was quite well known by then, essentially putting in place some of the high-level policy agreements for the bursary scheme at that time. At the time, there had been a communique to TVET colleges around how funding would operate in 2018. The DHET acknowledged the need to develop a more comprehensive student funding policy over time. She reiterated that the major focus of 2018 had been on implementing the new bursary scheme. Ms Lewin commented that there had been serious deficiencies in the systems, business processes and capacity of NSFAS, and sometimes at universities and TVET colleges, which had resulted in difficulties earlier in 2018 in finalising funding decisions, and in delays in disbursements. This had been an important focus of the work DHET was doing in 2018. The Minister had placed NSFAS under administration in August 2018 due to the very serious challenges which had been identified at NSFAS. The administration team had been in place for a relatively short period of time. The DHET had seen signs of a significant turnaround in terms of processing. The immediate terms of reference of the administrator had been to finalise the 2017 and 2018 student funding cycles to ensure that everything was being finalised effectively and in line with policy, and that proper plans were being made for 2019 to ensure a smooth funding process. Applications opened in September 2018, and were about to close. The DHET felt that this was going relatively smoothly, with large numbers of applications coming in and good communication with the public. It was finalising a plan for the 2019 cycle. It needed to ensure that there were no delays or data challenges on the scale of 2018. This required it to work closely with universities and TVET colleges throughout the year. The consistent messaging throughout the year was what NSFAS may have lost in the implementation of the student-centred model was a relationship between institutions and the system which allowed it to effectively administer student funding with the right level of support at institutional and national level, with all the controls in place. The DHET had committed to developing a new national student funding policy to support the DHET bursary scheme implementation. It still needed a final policy document. A fully-fledged student funding policy had not been developed at that stage due to the information gaps it had in terms of implementation challenges. It had not been able to codify everything into a final policy. As it had implemented, it had to deal with differences between institutions. For example, the accommodation costs and the way institutions implemented accommodation support for students differed between institutions. Food allowances were different across and sometimes within institutions. Questions of fairness and effectiveness, considering the needs students had, must be resolved in a fair policy which would be sustainable going forward. There was a draft set of student guidelines for 2019. A policy document which spoke to student funding must be updated on an annual basis. There must be a rational reason for implementing increases, and for deciding on accommodation rates, food allowances and book allowances. The draft guidelines for 2019 had been discussed by NSFAS, DHET and the institutions, and were informed by what had happened in 2018. The guidelines provided a framework for the implementation of the bursary scheme for 2019. The guidelines outlined the scope of the bursary scheme; the high-level rules applicable to the bursary programme; who qualified; the scope of the bursary coverage; the student obligations; and the conditions of the bursary. The guidelines also outlined the roles and responsibilities of the various partners involved in implementing the bursary scheme and student funding. She felt that this had been lacking in previous years and was important so there was no room for confusion about the roles different parties played and where responsibility lay, whether it was in relation to decision making, data exchange, or the disbursement of funds. A lot of the work being done in engagements with universities and TVET colleges was around what the roles and responsibilities were for 2019 and going forward. Ms Lewin elaborated on the guidelines for the DHET bursary scheme. Students had to be South African citizens to qualify. Students must be admitted into an institution and meet the financial qualification criteria. She said there had been areas of confusion earlier in 2018 on what the qualification criteria were, and the DHET had to be very clear in all its communication on what the criteria were. Family income was assessed and verified by NSFAS when students apply. Funding was confirmed only once a student had registered for an approved funded qualification at a public university or TVET college and met the financial qualification criteria. She stressed that one did not become a NSFAS student until one had registered for an approved funded qualification. Students could be funded for only one qualification at one institution at any one time. Students on the bursary scheme were expected to complete their qualification within one year of the minimum length of the programme. This was a policy decision made at the outset. There were strong arguments for why this was the case. The assumption was that given the level of support provided through the bursary scheme, all students should be able to access higher education and be successful in it. When the full cost of study, including accommodation, living expenses and learning materials was provided, students performed better academically. While this was not the only factor which supported success, it was a massively important factor. She noted significant improvements, but there were still issues of students dropping out or not completing their qualifications on time. Ms Lewin described the different funding conditions per the guidelines. Returning university students in 2018 were subject to previous funding conditions, through the DHET general fund for NSFAS. The DHET had been implementing standardised allowances across the university system. The first to be standardised was the food and living allowance, which was standardised from 2018 onwards. In some circumstances, food allowances were increased for returning students where it was below the standardised amount. There were institutions where some students were receiving above the standardised allowance. Over time, the DHET would have to address this for reasons of fairness and inequality. Accommodation and travel allowances varied depending on institutional policy. Through the research NSFAS would do, it would establish maximum limits in these areas, but also put in place a more detailed policy which acknowledged the differences in different areas where institutions were based, but that was also fair across the system. This was not something which could have been done in the previous year. The book and learning materials allowance was provided annually to every student in universities. Again, there were differences in the allowance, but the DHET was looking to standardise over time. At that time, the book allowance was at R5 000 maximum for the year. Every student had to sign a bursary agreement. In signing that agreement, the student confirmed that he or she agreed to the conditions and obligations of the bursary. This had been implemented, but it was stated very clearly in the guidelines. Ms Lewin said that TVET college students had applied for tuition and allowances through a form that sets out the criteria that students must meet to qualify for the bursary. The agreement was then signed between NSFAS and the student, and this includes the conditions and obligations so that at a later stage, when students register, that form had already been signed. This had been a work in progress between NSFAS and the colleges to ensure that those controls were in place. This was where outlining the roles and responsibilities in the guidelines became very important. This included the roles and responsibilities related to data exchange, shared decision making etc. Institutions would help in key areas, including determining the academic progression of students and supporting the implementation of the service learning requirements for bursary holders in universities. This was an area which required significant work. NSFAS was not able to tell a student whether the student had met the academic progression requirements. Universities had to do this. The DHET hoped that the guidelines would assist in providing clear policy guidance for the 2019 student funding cycle, as it was quite late in the year. It was meeting with the registrars and finance executives of universities on December 3 to discuss the registration period with NSFAS and the South African Union of Students (SAUS). The DHET and NSFAS normally met with the registrars in December every year to ensure everything was in place for the following academic year, and that there was agreement on processes. This had become even more important, given all the changes. There had been a similar meeting in 2017, but after the meeting there were changes. Ms Lewin referred to the development of a fee regulation framework for universities. Since 2016 there had been a social compact in the system with regard to fee increases across public universities based on the agreements between the government and university councils, following the agreement for a 0% fee increase in 2016. Government had provided a fee adjustment grant, also known as a gap grant, to students in the family income bracket of up to R600 000 per annum. The gap grant had buffered the fee increases in 2017 and 2018 for students in that bracket. Because of the need to keep fees at affordable levels and to increase equality in the system, the DHET agreed that it needed to develop a policy framework for the regulation of public university fees. This was widely accepted in the system, by universities and the DHET. The DHET had to ensure that fees remained at affordable levels going forward and wanted to address some of the disparities in the system without destabilising the university system. The only way to do this was to work together as a system – with universities, experts, those who understand the cost drivers of universities and those who understand the historic differences between universities. The DHET was negotiating this with the sector. The scope of the work was quite huge and complex, and was also quite sensitive. Due to the scope of the work required, it was not possible to put in place an agreed framework for 2019. The DHET did not want to rush something which would have long term implications and would not have the buy-in of the sector. Ms Lewin said that the DHET had been working with vice chancellors, finance executives and Universities South Africa (USAF) to put in place a holding pattern for fee increases in 2019. The Minister had met with council chairs and vice chancellors the previous Friday to agree on a social compact regarding a maximum increase for 2019. This had to be finalised by the councils themselves, given the existing legislative framework which gives university councils the responsibility for setting fees. The DHET was asked to look at tuition fees and accommodation fees separately since the cost drivers were different, and it had done so. The other complication in this area was that the DHET had been implementing the fee adjustment grant/gap grant which it was phasing out in 2019. This meant that new students in 2019 would pay the increased fee, and those students who were paying fees had already been doing so. The DHET needed to manage the phase out of the gap grant with the support of the institutions. It had agreed with institutions to put in place a special earmarked fund for institutions to support students in the missing middle to phase out until those students graduate. She noted that, given the announcement of free education, the subsidy of universities for 2019 was significantly increased. and the funding going to increased subsidies was substantial and a significant percentage of additional funds. Universities were able to use these budget allocations to work around the gap grant phase-out. Universities were very grateful that the money had to be accounted for and spent wisely. Ms Lewin said that the DHET met regularly with the NSFAS administrator and his team. There was a set meeting approximately every two weeks, although there was daily communication. The DHET worked with the administrator’s team to reprioritise the administration budget of NSFAS to ensure it could support the necessary work, including some emergency work that needed to be done, especially on the Information Technology (IT) system. It worked closely on planning for 2019, including an all-day meeting the next day to prepare for the following week’s meeting. The NSFAS report would show how it was prioritising some of the data and IT related projects. In terms of audit updates, the Committee would receive that information from the administrator’s team. The DHET did not initially agree to transfer the final tranche of NSFAS funding in September. It held back the transfer until it was happy that the work which needed to be done on compliance with both the external audit qualification and the non-compliance reported by the internal audit was completed, and that adequate systems had been put in place. At the time of the transfer in November, the DHET was convinced that this was the case although it was keeping a close eye on matters. Mr Yonke Twani, President: South African Further Education and Training Student Association (SAFETSA), thanked the Chairperson for inviting him to do justice on behalf of students and present their issues to the Committee. He said there were still students at TVET colleges who had not received their allowances. This was one of the things which had led to the low certification rate in TVET colleges. Students were not performing in line with the academic standards of the Department. Allowances were paid at year end, putting students at a disadvantage and making it harder to attend classes. There were students who could not sign their schedule of particulars (SOP) in time because of losing their cell phones. Those students tried to contact NSFAS, and the process of updating their contact details was delayed to such an extent that he had contacted Dr Carolissen and Kagisho Mamabolo, the NSFAS spokesperson, so that those TVET students could be assisted in changing their contact details to sign their SOPs. This should not be the responsibility of the administrator or the spokesperson. The people who delayed the process were junior administrators at NSFAS. Students should not have to contact senior officials at NSFAS and the Department for simple issues to be resolved. He asked for this to be noted. Mr Twani said that students who had not received allowances in time for accommodation and transport were expected to adhere to the attendance policy by attending 80% of lectures. Many students were from a disadvantaged background and the only way for them to attend class was by paying allowances for transport and accommodation early. If the allowances were paid at year end, how did one expect students to adhere to the attendance policy? SAFETSA was in support of the punctuality policy, but it must be aligned to early allowance payments so that students were able to attend classes. He noted the economic status of the country, which made it difficult for students to afford residing in private residences. The increase of VAT by 1% had contributed immensely to the exorbitant increase in rental amounts in students’ private residences. SAFETSA still did not understand who was really at fault for the delay in allowance payments between NSFAS and colleges, but it understood the blame game between the entity and colleges. When engaging senior management at TVET colleges about students who were complaining about not receiving funding, it would blame NSFAS, but when contacting NSFAS, students were told the funds had been disbursed to the colleges. SAFETSA tried its level best to encourage students to sign SOPs in time, but the major issue with the delay in signing SOPs was the loss of student cell phones and the delay by NSFAS in updating the current or new contact details of students who had lost their cell phones. He felt that there should be an alternative solution which would make the process of signing the SOPs easier for the 2019 academic period. SAFETSA had been informed by the SRCs that 80% of returning students at Ekurhuleni East College and Lephalale TVET College were not funded. Students had applied for funding, but the status of their application was unknown. It had been informed that an outstanding claim of R20 million had not yet been paid for the second and third trimesters at Lovedale TVET College. Most returning students at uMgungundlovu TVET college were not funded for 2018 and were placed in the type 4 category, with most students not getting allowances for 2018. Maluti TVET college had not yet completed and concluded allowance payments for 2016/17. He hoped that NSFAS and the DHET would follow up swiftly on the issues raised. SAFETSA was quite concerned about the intake for the 2019 academic year. It believed that with the pronouncement of free education, TVET colleges would expand access and open the doors of learning to many prospective students who were eager to learn. Mr Twani elaborated on the progress of signing SOPs in the TVET colleges. This process had not made the work of student support officials easier, particularly officials who were dealing directly with bursaries for students. It should be noted that the students were not delaying the process deliberately. The online system or processes to update their details was difficult for students to comprehend. SAFETSA was informed by students that when they contact NSFAS directly, it was unable to resolve the issue quickly. This was why he contacted the administrator and spokesperson. There should be an easier system for students to sign their SOPs. Commenting on the state of readiness for the 2019 academic year, he said the student leadership was looking forward to engagement with the TVET branch of the DHET and NSFAS, to advise one another on how to resolve the current challenges and have a smooth start to 2019. SAFETSA understood that 2019 was an election year and it did not want political parties to use NSFAS as a political issue. SAFETSA would appreciate an update from both entities on their plans for 2019 as part of the engagements so that consensus could be reached which could minimise unrest. SAFETSA was ready to work with both entities for the benefit of poor and working-class students. Mr Twani concluded by calling for an imbizo with NSFAS for TVET stakeholders. There were a few issues that it would appreciate discussing with the DHET and NSFAS in preparation for the 2019 academic year. This would minimise the existing confusion. He had been informed that there was a draft for General Education and Training Certificate (GETC) bursary guidelines. SAFETSA had not been informed about the guidelines. The entities needed to sit down to manage these issues for the benefit of students. He reiterated that the 80% attendance policy must come with early payment. Private accommodation rental amounts should be increased to R3 500 per student, particularly those in urban areas. He gave the example of students in East London, noting that some students stayed close to drugs and prostitution because of the low accommodation allowance. He suggested that there should be an email account accessible to student support advisors, which would allow them to help students sign their SOPs as quickly as possible. He explained that when signing an SOP there was a one-time pin sent to a student’s contact number. If students lose their phone, student support managers would be able access that pin via email, making things easier. This would ensure that students did not have to go through the process of getting a sim swap, or contacting NSFAS. SAFETSA demanded that NSFAS be decentralised and closer to students. It was willing to work with NSFAS to make it more functional for the benefit of poor students. The Chairperson thanked him for the presentation, and agreed that NSFAS should move out of Wynberg. Mr Thabo Shingange, SAUS national spokesperson, said that since most of its issues were unresolved in the higher education framework, each time SAUS presented to the Committee it sought to explain the context in which it operated and spoke from. At the heart of student protests in South Africa had always been the right to learn. Choosing to adopt tactics that forced universities to shut down and prevent learning from happening in its usual ways, protesting students came under fire for interfering in the academic projects in campaigns which were said to affect a minority. Anyone who took time to listen closely to what students were saying would know that their actions were not ill-considered, and that their immediate struggle against fee increments and funding was seen as part of a much bigger struggle against a system that students characterised as violent and speak of as experiencing in violent forms in their everyday lives. To this end, NSFAS was no exception, more so if the right to learn was compromised every day for poor black students in many ways by a system that was shaped and driven by business principles. SAUS had made a presentation to the Committee on 16 August 2018 at which the challenges that students were facing in universities were clearly outlined, and solutions were proposed to improve the NSFAS system. Among the key proposals and outcomes of that meeting, SAUS had committed to assist in ensuring that NSFAS could function properly, taking into consideration the grave nature which had become definitive of the previous administration. To this end SAUS, with the support of NSFAS, had embarked on the national financial aid road show, which came after the appointment of Dr Carolissen as NSFAS administrator. The main purpose of the financial aid road show was, amongst other things, to address three main issues. Over 300 000 applications had been received, of which 230 000 had been verified for eligibility, and just over 210 000 applications had made it through the evaluation stage -- NSFAS was waiting to complete the financial eligibility part while it verified the institutional admission. SAUS still had several concerns. Over 1 000 of the 300 000 applicants withdrew their applications for undisclosed reasons. About 50 000 applications had either missing or incorrect supporting documentation, which meant that the funding process would be delayed for those students while the issue was reconciled. The third issue was NSFAS reversals affecting current students. The fourth issue was the call centre, with miscommunication between NSFAS, universities and the call centre itself. Often students were confused and frustrated when told that universities had not submitted their registration templates, but when enquiries were made with universities, the universities showed records of the templates being sent to NSFAS multiple times. The inability to reconcile these three stakeholders was a grave concern. The fifth concern was the SOPs for students, mostly on the Thuthuka programme, which had not been generated so most Thuthuka students had not signed the SOP. There were still outstanding cases of NSFAS Bursary Agreements, given that some students had been linked to the wrong universities where a student may have received funding for one university but enrolled at a different university. Payments for 2017 were still outstanding in some instances, and so universities were not able to submit their final reports if they had cases outstanding. Outstanding payments could be a result of changes in contact details. There were still outstanding payments for 2018 ,though the number was far less than the crisis that was brought about by the previous NSFAS administration. SAUS was grateful for improvements in this regard. Mr Shingane expressed concern that an unquantified chain of NSFAS reversals affected students in two ways. There was a growing trend of students starting their first qualification, having not met the requirements for the previous year, but by systemic error were receiving funding for the current year. Those signed the contract only for NSFAS to pick up the error and reverse the decision later in the year. There were also students who should not have received funding for their second qualification, because NSFAS in principle did not fund a second qualification. Some students were in the first year of their second qualification and had received funding; others were beyond the first year of their second qualification. While the issue may not be widespread, there were examples. Who must take responsibility for these errors? Once one had signed a contract or a NSFAS Bursary Agreement and were faced with a unanimous reversal, one needed to interrogate the legality and morality of shifting the blame on to the student. He hoped that NSFAS could come up with ways to assist SAUS in addressing this issue. He elaborated on the recurring outstanding challenges which were presented in SAUS’s previous meeting with the Committee. He supported SAFETSA in calling for regional NSFAS offices to decentralise the organisation, as the offices in Cape Town were far from the rest of the country. Regional and campus-based offices would benefit students. He raised the issue of historic debt, saying that the call for free education was not complete until the clearance of historic debt was enacted. In 2015, former President Zuma had placed a moratorium on fee increases, followed by then Minister Ndzimande providing an amount of R4.25 billion to clear off historic debts from 2012 to 2015. From 2016 there had been no answer to the historic debt situation. There had been an accumulation of historic debt while students were fighting for free education, but the issue of historic debt had never been addressed. SAUS was faced with a crisis between the free education question and the historic debt leading up to that announcement. With close to a nil collection rate by NSFAS debt agencies and with nothing more than political will required, SAUS requested the clearance of historic debts of students amidst rising youth unemployment and cost of living increases. Mr Shingange expressed concern around postgraduate funding. The government would be wasting money if it just funded undergraduate qualifications, and students were still unemployable. He concluded by noting that there were still questions around the free education model. While SAUS welcomed it as a relief and a positive response provided by government to needy students, it was not impressed with it being administered by NSFAS as if it was not free education. Students were requesting not to undergo many bureaucratic processes, as if they were getting a loan instead of receiving free education. When government speaks about higher education, it speaks about it from a monetary perspective. While the issue of fees may be resolved from a monetary perspective the call for free education was twofold. It pierced into the heart of the university, calling into question the kind of university students were operating in and the kind of African university students were trying to achieve. The discussion about free education forces the reopening of a national debate which the student movement lost in the 1990s, when transformation became reduced to a series of technocratic interventions, and the representation of different stakeholders. Trying to advance calls for transformation were left to these stakeholders which were, by and large, exclusionary. As students problematise the state of transformation, arguing that these agendas do not serve the interests of students, it was perhaps time for the country and perhaps for this meeting to guide the process, to revisit some of the decisions which were decided on in the past. Students were forcing the system to acknowledge that resources needed to be mobilised in different ways and the transformation project opened up in more democratic ways. The Chairperson thanked the student representatives and asked NSFAS to respond to the issues raised by the students. She appealed to the student body to send their reports on time. It was impossible for the Committee to respond to the issues raised as it sat there. Ordinarily reports were sent before the time, the latest being the day before. It was important for the Committee to consider the issues raised. If student organisations did not receive a favourable response from the Committee, it was because of their failure to submit reports on time. Dr Carolissen said the NSFAS presentation addressed issues which had been raised by the Committee in quite a bit of detail. It would be useful for him to give an overview and respond to some of the broader issues raised and to the terms of reference which had been laid out to him upon assuming office. The terms of reference were informed by the state of NSFAS at that point. When he walked in, he found a governance system that had completely collapsed; systems crashed every day; and data integrity was completely unreliable for decision making. There was a complete collapse of financial controls and a complete loss of confidence in the institution. He had told the Minister that it would have been easier to shut down NSFAS and start it all over again. However, in partnership with institutions, student leadership, the DHET and policy makers, NSFAS was quite different three months down the line. A lot of challenges remained which he would share with the Committee. In the previous three months, NSFAS had dealt with some of the leadership challenges by removing some of the former leadership who were not aligned with the new student-focused model. NSFAS was not a normal organisation, and employees needed empathy and passion to be effective. The culture at NSFAS had been one of grievances. Some experts who joined NSFAS after a month said they had never experienced such a toxic climate in any organisation. NSFAS dealt with this by laying down the law and asking that people who did not share a vision of student advancement and building hope for young people should talk to the leadership and find a way to amicably part ways with the organisation. This had worked, as currently there were people working night shift and who were voluntarily deployed to regions. Those people were doing a fantastic job in those regions, where on-the-spot resolutions were required at the major institutions. NSFAS had identified the flashpoints across the country. It had received letters from vice chancellors, thanking it for taking the sting out of some of the issues. He was surprised at the large amount of outstanding issues at TVET colleges, as he thought NSFAS had dealt with them. Since NSFAS had dealt with the flashpoints, it was in the second phase of mopping out the secondary, smaller issues. There was a lot of understanding in the sector for what NSFAS had to deal with, and it could not have achieved what it had without the help of the institutions, students and everyone else in the system. Dr Carolissen elaborated on systems stability, noting that their system had been running for 51 days without failing, which was a major achievement given that it used to crash daily. There had been a massive clean-up of data. Universities had passed most of the tests NSFAS had set for them in terms of its data exchange protocols, although admittedly it had been only those universities which were able to respond. The TVET environment was a big problem which he would address later. NSFAS was now able to trust the exchange of data with institutions and the relationship had been significantly improved in this respect. It could place a lot more reliance on data integrity. Data fed through to DHET for planning and policy decisions was of much better quality. NSFAS was becoming comfortable in making some decisions, whereas in the past it would have had to guess. NSFAS had improved its relationships with broader communities and all stakeholders through honest conversations and discussion. It had largely dealt with the 2017 and 2018 backlog, and in that process had found 120 000 students in the system who were previously unaccounted for. Dr Carolissen elaborated on the crisis which faced NSFAS. At the start of 2018, R11 billion had been transferred from NSFAS to institutions. Institutions could not pay out to students because NSFAS had not provided remittances. It had not said who the money should go to. In cases where universities paid out, they took educated guesses as to who must receive the money. The R11 billion which was paid over to institutions was portrayed as being paid out, which was not entirely true. The system of remittances which had been developed now enabled universities to get the money to students. There would have been some hiccups, but by and large students should have received their funding. In addition to this, NSFAS paid out an additional R4 billion. In the first two months of the administrator’s term, around R15 billion had flowed to the students. This was not to say that everyone was covered, as every day new students were found in the system. Every day it was discovered that universities had not provided the full situation, and then teams would be sent to the universities to resolve this. There had been a relatively smooth start to the 2019 enrolment process. NSFAS was 50% ahead of where it was the previous year. It had received 300 000 applications, 50 000 of which had outstanding documentation, but it had already processed 210 000 applications. NSFAS had indicated to those students that they had passed all the tests, but would become fully funded only once they registered at university. Dr Carolissen referred to some of the emerging challenges. 88% of the 300 000 applicants were university applicants, and 12% were TVET college applicants. This meant that NSFAS had not dealt with the issue of walk-ins, and he expressed concern that at the beginning of 2019 there would be hundreds of thousands of students walking into TVET colleges. NSFAS’s estimates were that there would be in the region of 200 000 if current levels of registration were maintained. This was a big problem which would put NSFAS on the backfoot in the TVET college sector. It would not have the luxury of timeous processing, as it did in the university sector. There would be an oversupply of students at universities, but by matching it to registration data, the supply and demand curve should and would be managed. It expected diploma programmes to be in oversupply and universities would be able to cope with degree programmes. It had done several projections in this regard. NSFAS had embarked on forensic audits, especially of third party disbursements which had happened. NSFAS could not quantify what the losses were there. In conjunction with the Minister, it had been decided to launch a forensic audit on the third party minimum payments the students had described. NSFAS took a hard look at what the NSFAS Act said about disbursements. The Act was clear – it was the responsibility of NSFAS to get the money from the state into the pockets of the students as seamlessly and effortlessly as possible. If there was a third-party appointment to facilitate this process, it had to be approved by NSFAS. In the past, institutions had procured third-party providers to disburse money. NSFAS was seeking legal advice on this, but from his perspective it was illegal. What happened was that third-party providers offered free or cheap disbursement channels, and then fed off the system through commissions, or whatever incentive schemes the third-party providers could come up with. This was a big problem, as it moved NSFAS away from what it was meant to be doing. The Minister and NSFAS would make a pronouncement on this soon. If NSFAS did not take charge of the disbursement process itself, as it was meant to, it was not fulfilling its mandate. It might cost NSFAS additional money to make sure the disbursement process was free of commercial interests. This would cause quite a bit of upheaval, but it was looking at a process of getting money as quickly and seamlessly as possible into the students’ pockets. He gave the example of the University of Cape Town (UCT), where NSFAS transfers a big tranche of money and UCT disburses to students’ bank accounts. Different universities had found different ways to get this done. He cautioned that NSFAS might not be able to do this by 2019, but it was moving in this direction to cut out the middlemen. Even though there might still be middlemen for 2019, it must be with the approval of NSFAS. He believed one could not have a disbursement process and a noble ideal such as the NSFAS ideal being subject to commercial exploitation and leveraging. This was a big concern for NSFAS, and it was doing the spadework by talking to institutions. By and large, most universities had effective disbursement systems but in the TVET environment, paying the money over to the TVET institutions had resulted in a blame game between the institutions and NSFAS, as described by the student representatives. This needed to be cleaned up. Dr Carolissen elaborated on the 2018 progress report. On 21 August 2018, the first day of administration, the total number of students approved for funding was 481 250. By 23 November 2018, because an extra 120 000 students were found in the system, the figure had gone up to 601 078. It had disbursed to 527 953 of those students, and the remainder who had not been disbursed to was because of contracts not being signed or not being able to find students in the system. Although this had been reduced from over 72 000 to about 30 000, the last 30 000 remained elusive. NSFAS would have to make a call on how much effort to put into this. It had asked student leadership to assist and the student leadership had done a marvellous job in finding students. However, the last 30 000 was extremely difficult to find. It could be because of data errors in the system. Around 30 000 students had submitted registration data with errors. R16 billion had been dispersed in the first two months of administration, of which R11 billion was already in the system but was unlocked through the remittance system. The report for 2017 was similar, with a similar level of progress. Dr Carolissen commented on the 2019 enrolment figures. There were 300 000 students in the system as of the previous morning. 50 000 students had outstanding documents. NSFAS was following up on this and working with student leadership to find those students, but at least those students were in the system, so the students had a month or two to find the documents. 210 000 had been approved. 64% of the applicants were women. KZN had the biggest levels of regional disbursements, with 81000, followed by Gauteng and Free State. The Cape provinces did the worst in terms of enrolment. It was analysing the data on a sub-regional basis and putting in more resources. NSFAS had spent a lot of time in rural areas over the previous two to three weeks, and had good success in that regard. He believed that NSFAS was in a much better position in terms of data integrity, system stability and testing for institutions for 2019, even if it kept the current disbursement system. It would do better in 2019 just based on the quality of data. Fixing the disbursement system would take NSFAS much further down the efficiency curve. He handed over to the Chief Financial Officer (CFO) to deal with the forensics and outstanding audit findings. Mr Morgan Nhiwatiwa, CFO: NSFAS, described progress on the investigations. Deficiencies had been identified in governance and internal controls because of actions taken by the previous board and previous executive management. A service provider had been appointed to perform a forensic investigation on disbursements to determine whether any fraud had taken place. The firm which had been appointed was on the ground and would commence its investigation. There was ongoing work with internal audits in terms of the plan which was agreed on to address material findings on the disbursement process. He elaborated on plans to address the AG’s findings. Corrective action was focused on the reissuing of contracts with the correct funding amount and verification of the extent of over-disbursements. NSFAS also planned to engage the AG early to do an interim review. Regarding specific actions, there was quite a lot of work to go through. Part of the challenge was that records were not reliable. A lot of time was spent on identifying accounts affected to determine the correct contract amounts. It was in the process of reconfiguring their Information and Communication Technology (ICT) systems to generate and issue the revised contracts for students. The process was starting, and he hoped it would be done within three months. Mr C Kekana (ANC) saidthe Committee could feel the difference in the improvement of the situation at universities and TVET colleges. He asked the students about decentralisation. In earlier discussions, the Committee had suggested electronic decentralisation. He asked if electronic contact with NSFAS helped. Regional offices would create another level of redistribution. The Committee asked why students could not use electronic systems with the support students get from institutions, and with existing offices and facilities in institutions. Mr Kekana felt that an indaba between students, NSFAS and the DHET was a good idea. It had been agreed that NSFAS would contact students who had lost their cell phones through the student leadership, and he suggested that NSFAS should send a list of all uncontactable numbers to the students’ representative councils (SRCs) to help. He said that there were big numbers for enrolment and asked whether money had been disbursed to universities so that when they opened, they did not complain about not having money for registration. This had been a problem and the understanding given was that advance funding meant students did not struggle with registration. Had this been done? Mr A van der Westhuizen (DA) commented that in 2017 he had asked the Minister how many students had received funding from NSFAS for more than five consecutive years. The answer given was that NSFAS did not have the capability to analyse its funding data by cohort, and was prepared to provide the list of all funded students for 2008-2015 for cohort analysis. Now NSFAS was saying it would fund students for the minimum length of a programme, plus one year, although a year ago it had said it was unable to tell who had been funded for five consecutive years. To what extent was it monitoring the academic progress of students and providing support to students? The Committee wanted a high success rate. He was privy to a draft guideline document for TVET colleges for 2019. The document had appeared on 15 December 2017 when all the colleges were closed, and was meant to provide guidance for 2018. There was quite a big gap in funding for accommodation between university and college students. He asked the DHET what the rationale for this was, Was it a Departmental policy? Why must college students eat less than university students? He expressed concern about the workload facing NSFAS between now and the opening of the universities and TVET colleges in 2019. Would NSFAS be at full strength between Christmas and the New Year? Would it have a skeleton staff? What were its plans to render service and have quick turnaround times for that period? Ms S Mchunu (ANC) said she was happy with the progress at NSFAS but expressed concern about the 50 000 applications with incorrect supporting documents. How was NSFAS dealing with this? 50 000 was too much. The NSFAS progress report identified registration data from institutions with errors, contracts not signed, and system errors, but she felt that it would have been better if NSFAS had explained how it was dealing with those issues. She asked the Department to speak to Committee about historic debt, as it was a bone of contention with students. She agreed with the administrator that the core function of NSFAS was the disbursement of funds. The appointment of third parties was another form of outsourcing. It was not accommodated in NSFAS regulations, and she would be glad if it came to an end. Dr B Bozzoli (DA) commended the presentations for being more reassuring than earlier ones. She expressed concern at whether there were going to be places for all the students who were going to receive money to study. If there were not places, did the Department not foresee a huge problem? A student may be told he or she had funding, only to arrive at a university and be told it was full. How would the Department deal with that? This was tough on students to be told to that the government would fund them, only to find there was no place for them at institutions. It could not suddenly make place for students -- universities were generally full. What did one do? She asked if the Committee could receive data on the claim that funding leads to better results. She had not seen data to that effect. Had the Department given up on the idea of stratified universities, with research intensive universities, comprehensive universities and teaching intensive universities, which would all require a different fees framework? Research intensive universities would be much more expensive to run than teaching intensive universities. If the Department was looking for equality in fees, would that be compensated by differential subsidies? Was anyone looking at whether the additional money would affect fees, and how? She said it was true that postgraduate funding not being funded adequately. This was very serious for research intensive universities, as this fed into their research future. The Department of Science and Technology (DST) which funded these students had seen its funding cut, partly to pay for fee free higher education. Postgraduate funding was coming from a diminishing pot, while undergraduate funding was coming from an increasing pot. She felt that there was a major disjuncture and unfairness there. Was the Department engaging with the DST and looking at postgraduate funding? Had it come up with a solution? The Chairperson thanked DHET for its presentation and noted that there was some movement on the framework. In the absence of a fully-fledged framework, what regime was in place from January 1, 2019? This related to policy and Public Finance Management Act (PFMA) obligations. She asked for clarity on this from the Department. She suggested to the DG that at the beginning of the year, the Department should look at a proper conversation or workshop where everyone could be brought together to find consensus. It was important that there be a far more coherent discussion, as this was going to be for the future of the country. It should not only be the Department taking responsibility for this area. The Chairperson referred to the continuation of increasing funding. The Committee was comfortable that there was strict accountability based on the annual report, but there were a few things universities did not account on, and a longer list of what the colleges had not accounted on. She felt that it would be disastrous if left like this, especially as the funding increased. She wanted to hear the Department talk about the different bursaries. The Committee did not think that people should be able to double dip into bursaries. She did not think there was a funding scheme in place which was the same at all institutions. What was the fee structure at UCT, as compared to the Cape Peninsula University of Technology (CPUT)? She encouraged an ongoing discussion between students and the DHET, but asked students to provide solutions. She had not heard students complain about not having proper centres to deal with student problems at all institutions. She thanked NSFAS for its presentation. Were NSFAS students performing better than other students? She was concerned that the Committee was not getting anywhere with TVET colleges. She cited the 12% figure, saying that it was in the same situation as the previous year. The Committee would provide support to NSFAS, particularly with the provinces which were not on the uptake. Not all the questions would be answered. The DG and Thandi Lewin would choose what to answer. She encouraged written responses. Mr Gwebinkundla Qonde, Director General: DHET, said it was important to emphasise that the Post-School Education and Training (PSET) system that the DHET sought to build was differentiated in nature. Universities could not be the same. There would be research intensive institutions with applicable cost drivers. Others would focus more on production in terms of teaching and learning. It was important to bear this in mind. The system could not be the same for everybody. By nature, it would be differentiated. This had different implications for funding. Regarding the question from Dr Bozzoli about the number of applications coming the way of NSFAS and the availability of spaces in institutions, each institution was administering admission based on enrolment plans that had been crafted before applications come. Any institution admits students based on applicable admission requirements. If a billionaire applied, it was not guaranteed that there would be a space for him at a university. It was the capacity to fund what was available, and candidates still needed to apply and meet admission requirements. NSFAS guaranteed that if one got a place of study, it would be able to fund one. It was important not to collapse all these things into one. The DHET had to subject themselves to the fair application of rules, and it did not mean everything for all. Mr Qonde responded to questions around accountability, saying that the DHET sought to strengthen monetary mechanisms and reporting to hold institutions accountable for funds paid to them from the national fiscus and NSFAS. In paying money to NSFAS, it wanted proper accountability in the administration of those funds so that there was no wastage or irregular utilisation of public funds. The mechanisms and regulations that get put in place, and the monitoring and reporting thereof, sought to ensure that there was proper accountability of public funds. He concluded by stating that the DHET would take the suggestion of workshops forward. Dr Carolissen clarified that a student became funded only once registered at an institution. This was to balance supply and demand. On the question of NSFAS students performing better than other students, NSFAS had established a research capacity and had found interesting results it would share with the Committee. It had quantified the upfront payments required for NSFAS registration and had made a submission to the Department to tide it over for the first three months of 2019. On staffing between Christmas and New Year, it would track call centre activity, but it was thinking of shutting down depending on how busy it was. Staff needed a break after a very intense previous three months and before a very intense January. It would monitor the situation, but top-level staff, technicians and data people would work flat out. Mr Shingane responded to the question about decentralisation. Universities had become a very closed off and militarised environment since “Fees Must Fall.” It was not as easy to access facilities. The core dynamics had shifted, so decentralisation was a call for a more human interaction. He felt that operating with an online system with someone in Cape Town was frustrating and dehumanising. Mr Twani thanked Dr Carolissen for his efforts and sense of urgency. He wanted NSFAS to be decentralised to minimise blame games. Student support managers would say it was not their responsibility to update SOPs. Once there wasd a decentralised NSFAS, there would be someone who was responsible, to stop blame shifting. Mr Van Der Merwe asked about the discrepancy in the support for accommodation for university and TVET colleges. The Chairperson said that she had not heard enough about standardisation after many meetings. She expressed concern about TVET colleges and wanted to see movement as it related to the fact that TVET students had been getting free education before universities. Why was there not a proper system in place at the colleges? It was not a NSFAS problem, but a collective problem. She asked members to avail themselves to NSFAS in publicising the entity and encouraging young people to apply for funding. The Committee was happy that it could start talking about other issues now NSFAS was sorted out.